Where Do The Three Camlot Sisters Fit In? 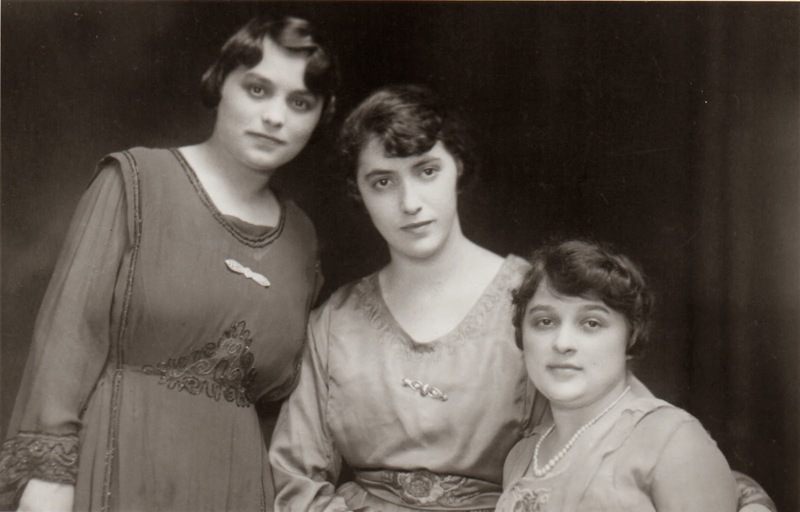 What a very special treat it was to receive this picture of the Camlot sisters! Who is who and how they fit in with their brothers is the puzzle! Sarah has wildly different ages. Her gravestone has 1881; other records have 1896 and 1899. The 1930 Census gives her age as 34. What is great about this particular census is that it has a column that gives the ages that the person was married: Sarah was 23 and Eli Saltzman was 20. The 1940 Census has her age as 41, so that would mean she was born in 1899. Her Aug 1923 Border Crossing has her age at 29, so 1896 again. 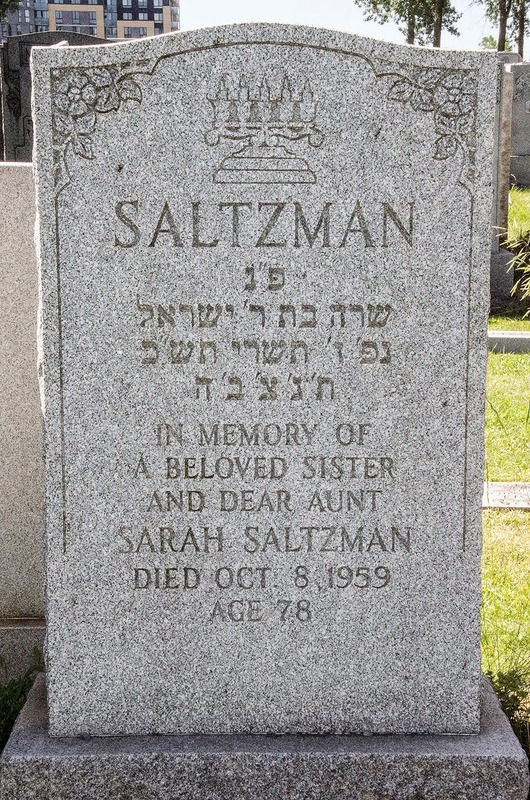 What is even more confusing is that there is a gravestone for Sarah Saltzman, beloved sister and aunt but no mention of wife. She died 8 Oct 1959. May her soul be bound up in the bond of (everlasting) life. From the Hebrew translation , her father's name was Israel, so that fits. However this woman has the age of 78, which would mean she was born in 1881. I want to trust what is on gravestones and say even though a few parts fit, I thought at that point the conflicting age would make it unlikely that this was the gravestone of my relative. Yet here is an obituary for Sarah Camlot Saltzman who died 8 Oct 1959 so the date actually matches the gravestone. It is strange to me there is no mention that she was a wife and that there is such an age discrepancy. According to the obituary, she was a widow at the time she died. What is the truth? Sophie's New York Passenger List and 1940 Census has her born in 1884. 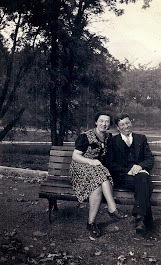 Her 1944 Naturalization Record has her name, Sosie Kamlut, and her age at 59, so that would mean a birthdate of 1885. She arrived in New York, 14 Aug 1920 at age 36 and was heading for her Uncle Michael Rich in Philadelphia.She married Samuel Cohen in 1935. 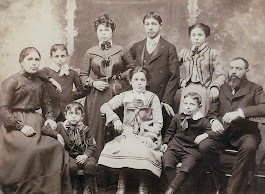 However she was living with her sister and brother-in-law, Sarah and Eli in 1940 without Samuel being listed in the Census. Sophie's gravestone has her maiden name, Camlot and gives no mention that she was a wife, but has beloved sister and dear aunt. Acronym for "May her soul be bound up in the bond of eternal life"
Eva's 21 Jun 1921 Ocean Arrival Record has her age as 22, so born in 1899. Her age in the 1940 Census was 36 which would give a birthdate of 1904. 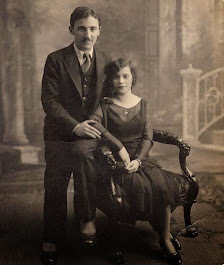 Eva married Carl Nitkin, 21 Nov 1929 in Montreal. In 1940 they were living in Philadelphia at 2016 N 31 St. 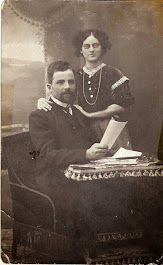 There is a witness' signature that my genealogy friend reads as Abraham K. Camlot. 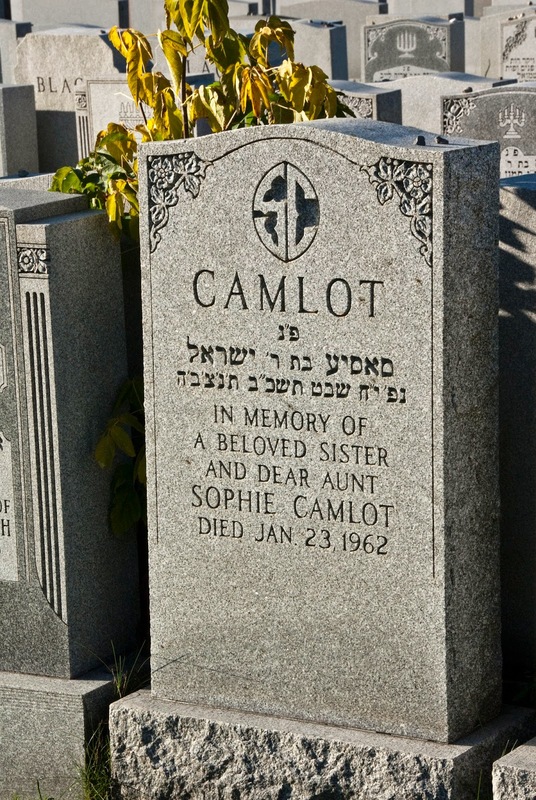 This is a mystery as we don't know of anyone by that name in the Camlot family. A great niece of the sisters, Judie, told me that Sarah, Sophie and Eva lived with her parents in Montreal, at the end of their lives. 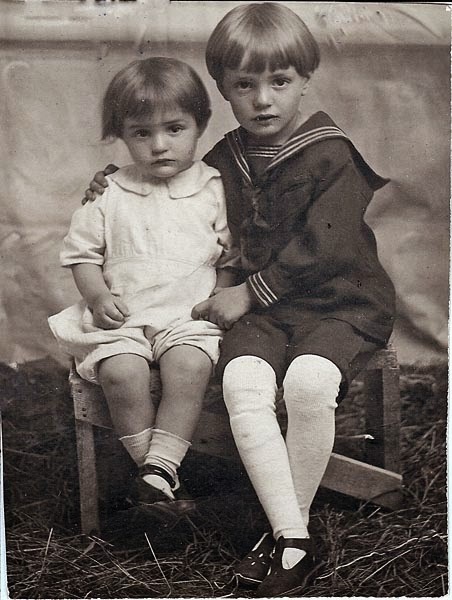 Her mother's younger brother and her grandmother Gertie also lived with them. 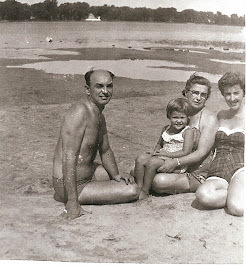 Judie wasn't born yet but her father told her the story. "One day, Sarah misplaced her false teeth. The family searched the house and they were eventually found in the teapot. All through his life, if something went missing, be it keys or a school book, my father would ask if we checked the teapot."